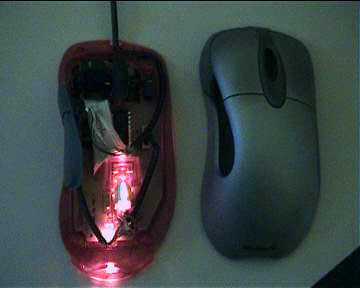 Over the last month or so, my Microsoft Intellimouse Explorer optical mouse has been gradually dying. At first it was just an intermittent problem - the mouse cursor would stop moving, I'd hear the Windows XP du-dunk sound of a device being detached, immediately followed by the du-dink of Windows XP finding a new device. It happened maybe once a day - nothing to bother about. It got worse. Now I'd get the du-dunk and the mouse would often stay dead. At this point I'd instigate the tried and true solution to fix all temperamental devices - bang it. Yep, worked a treat! Last night, it got worse. Now banging it wouldn't fix it - ah, but if I bent the cable coming out of the front of the mouse with my finger just so, it would work. "Hmmmm that's pretty annoying" I thought. 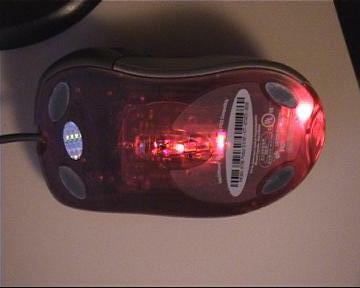 But I was busy actually getting some work done, so I resorted to using my kids' mouse - one of those mini ones. Tonight I finally got annoyed enough to stop procrastinating and decide to fix it. On a whim I quickly did a search on google. 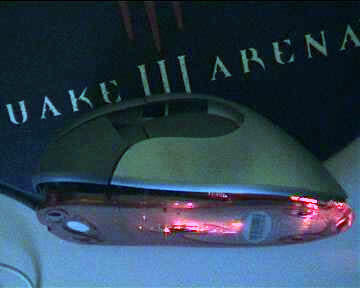 Turns out there's a known problem with this model mouse! Microsoft put out a letter - text of the letter can be seen here. You can get a free replacement if your mouse started acting up during the warranty period. Problem is, my mouse is about 3 years old - way past the 90 day warranty period. 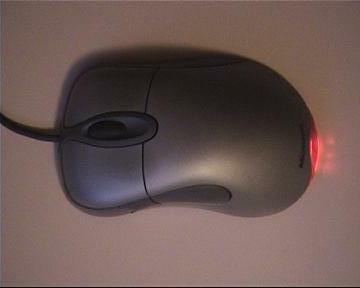 Should I go and buy a new mouse for 50 bucks and throw this one out? Anyway, if I'm going to throw it out - then I may as well crack it open and have a good hack around to see if I can fix it. There's nothing to lose! Well it's really quite simple if you've got this problem. It's basically a dodgy wire. If you're a tech head, you can probably stop reading - this isn't rocket science stuff. But if you're non-technical and have this problem, keep reading. I'll show you how easy it is to fix. Don't be afraid to have a go. You'll find you can get quite a kick out of having battled against a technical problem like this and won through. 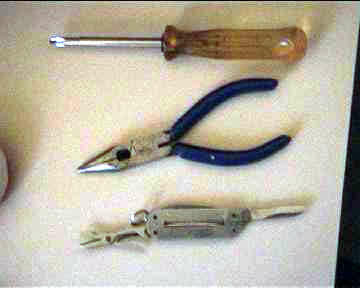 Here are some tools you might need - standard screwdriver, pliers or scissors and a knife. 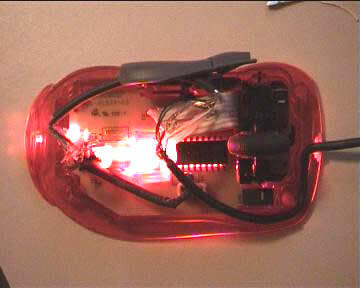 Here's the underside of the mouse. You need to take off those 'pads'. They're just stuck on. Don't worry, the glue is really sticky and they easily stick back on later. Now a tricky part - taking off the cover. The only advice I can offer is to do a lot of jiggling and maybe insert the knife between the cover and the side buttons to lever them apart. By the way, it's ok to do all this with the mouse still plugged in - just make sure you're not editing an important document! 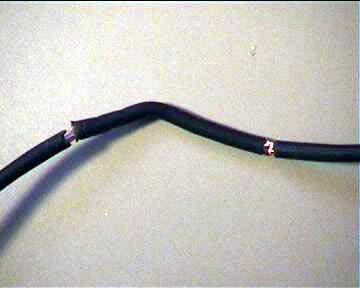 Now, here's a slightly tricky part - finding the spot in the cable where there's a problem. 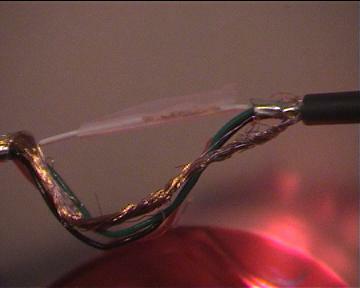 With the mouse plugged in, bend the cable back and forth in various places to try and narrow down where the problem is. The trick to this is to only move small sections of the cable and try to keep the rest of the cable as still as possible. Once you've found the general area, it's time to get a-cutting! 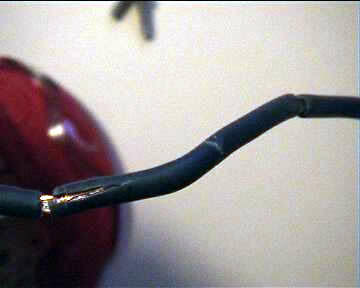 Use the scissors or pliers to cut very gently into the wire either side of where you think the problem is. Twist the scissors and wire around to cut all the way around, making sure not to cut to deeply. The picture shows a section about 2 inches long. Now use the knife to cut along and take off the outer layer. Now, separate all the bits - the bunch of copper wires, the insulation layer, and the 4 coloured wires. You can take off the insulation entirely. 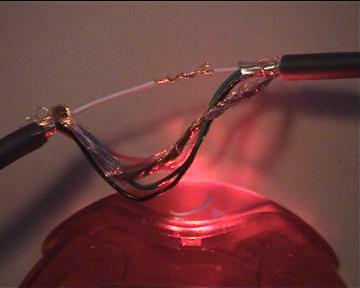 Now jiggle the individual wires and try to figure out which is causing the problem. In my case, it appeared to be the white one. 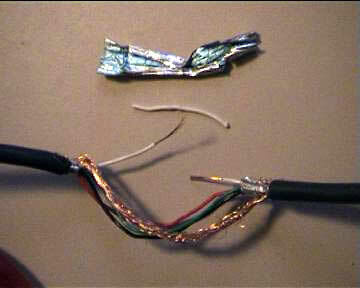 Strip the wire off with your scissors/pliers. 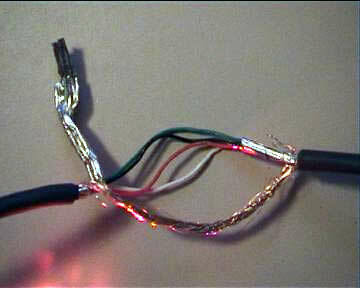 You can just cut the wire in the middle and strip the individual ends (although I didn't need to). Twist the wire together - success! 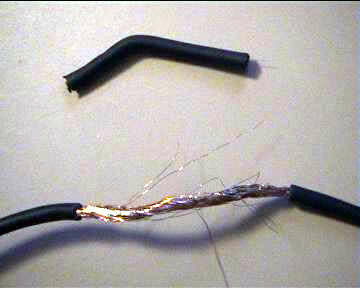 If it doesn't work, just repeat the process with one of the other wires. Put some sticky tape around it to stop it contacting the copper wires. Bung it all back in the mouse somehow. Put it back together. I had quite a difficult time getting the cover back on - again, it's just a matter of jiggling and lots of cursing. 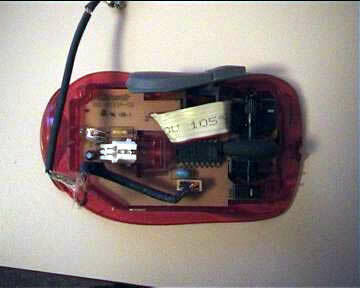 Once you've got the cover in a good position, put the screws back in and then test that you can click the front buttons. Lastly put the 'pads' back on to cover the screws. And you're done. 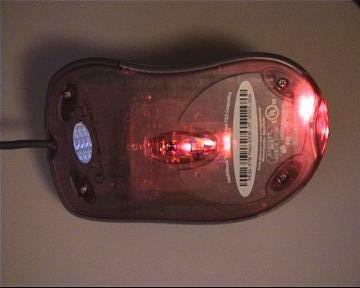 One working mouse! If you have any comments me.